Back when I used to put the bike away for winter, I would always look forward to that first exciting ride of the spring. Now that I’m cycling year round I miss that feeling. However, there is a compensation in watching the slow turn of the seasons from the seat of my bicycle. We’re currently passing through one of my favourite periods. At this time of year the sun is just clearing the top of Mill Creek ravine as I pedal to work in the morning. This is quite nice, but even better is the fact the the trees are just starting to bud at the same time. The poplar trees are laden with downy, white, young seed pods that catch the the low morning sunlight and and shine with a pearly glow. 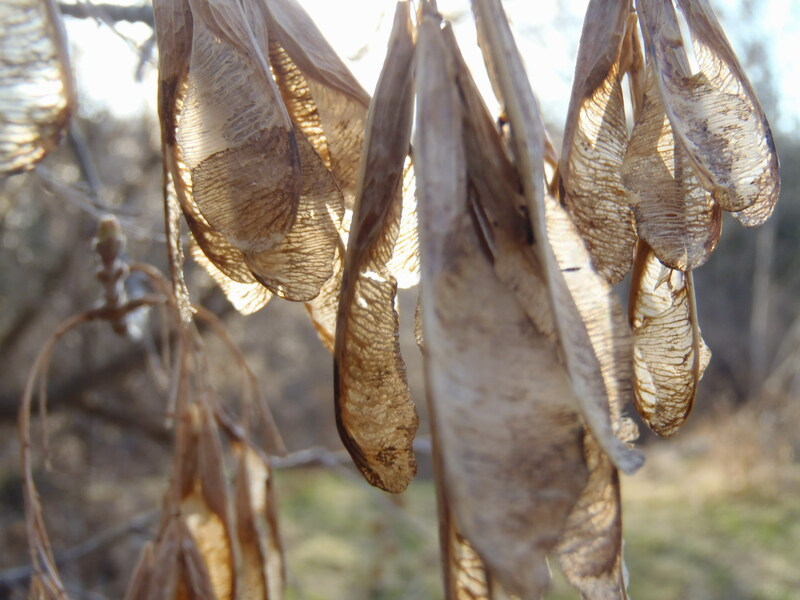 The elm trees are still heavy with last years seeds that shine with warm amber light. 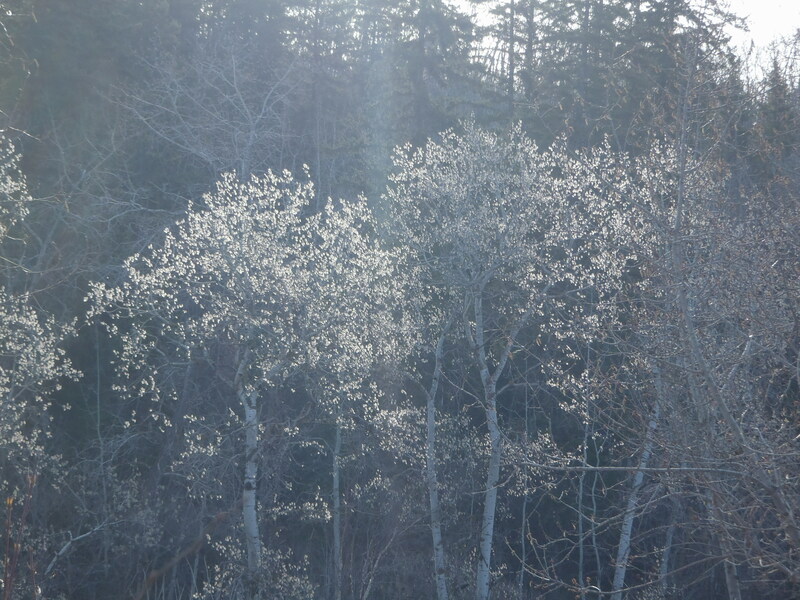 In little more than a week the poplar pods will slowly change from white to a vibrant green, and together with the budding leaves will make the morning woods seem to be suffused with a jade mist. Get out there and enjoy it Edmontonians. This picture does not do it justice. 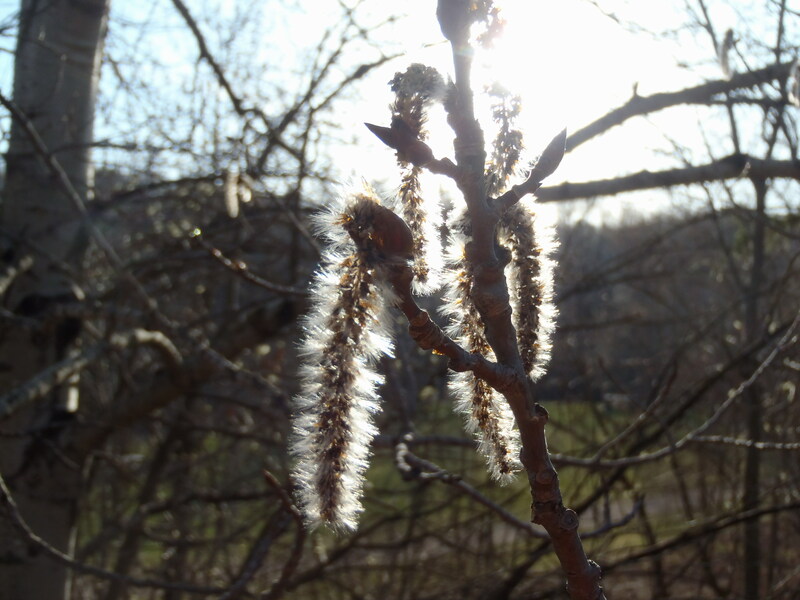 This entry was posted in commuting, Cycling, Spring Cycling and tagged Bicycle, Bike, commuting, cycling, Edmonton, spring by tuckamoredew. Bookmark the permalink. I know the feeling as far as picture not doing things justice. I have a rubbish bin full of them but I thought yours was well worth putting in.